Your Comfort is Our Goal Our team is committed to quality installations and customer service. Spray Foam Insulation Our team is committed to quality installations and customer service. Blown-In Insulation Our team is committed to quality installations and customer service. Replacement Windows Our team is committed to quality installations and customer service. Trust the experts at Dr. Energy Saver by Eco Energy Solutions for all of your home insulation and window replacement needs! Dr. Energy Saver by Eco Energy Solutions is the local expert for home energy improvements in the Northern CT, Berkshire County and Greater Springfield MA area. In Massachusetts and Connecticut, we improve home efficiency through expert energy-saving solutions, including home insulation, replacement windows, and whole-house energy evaluation. Using top-tier materials and products, we are dedicated to a job well done. Our professionals are fully trained and certified to handle all of your home's insulation and replacement window needs. We have many years of experience improving the comfort of local homes and lowering monthly utility costs, and there's no problem we haven't seen before! Sustain healthy home temperatures & energy efficiency with our airtight spray foam insulation. We install energy-efficient replacement windows and doors for every budget. Our evaluations can help determine the best upgrades for your energy-saving goals. Dr. Energy Saver by Eco Energy Solutions is your complete energy saving company providing you the solutions and services for maximum energy conservation. We are multifaceted, offering whole-house energy evaluations, home insulation services, replacement windows and doors, and more. There is no energy problem we can't solve. Because of our experience and our partnership with the industry-leading Dr. Energy Saver network, homeowners trust us for exceptional service. We are devoted to improving home comfort and saving you energy. There's no reason not to get started on your home's energy needs - schedule a free estimate today! Here at Dr. Energy Saver by Eco Energy Solutions, we do more than just provide quality solutions. We also conduct home energy evaluations to find out exactly where energy is being wasted. We evaluate your entire home and analyze your home's energy consumption to provide an accurate diagnosis of the problem areas. We then provide a prioritized summary of repairs to help your home receive its best energy saving opportunities. 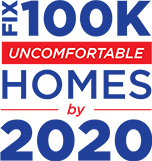 Local homeowners greatly benefit from the comprehensive solutions we have to offer, and we can't wait for you to experience the same level of service we constantly provide residents of Massachusetts and Connecticut. But don't just trust us - see what our customers have to say!